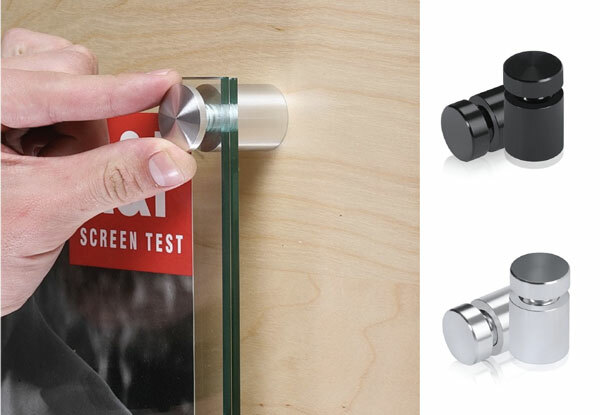 Create a stunning, professional display with standoffs. 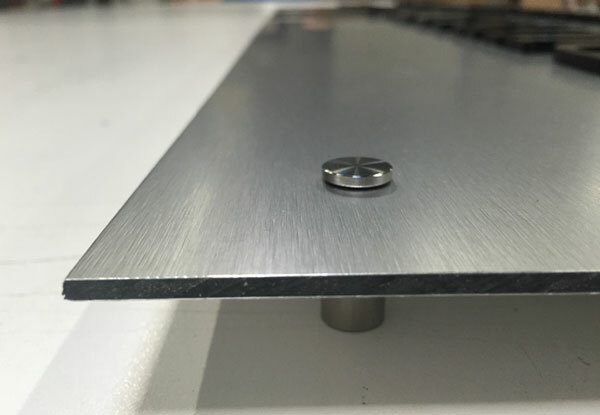 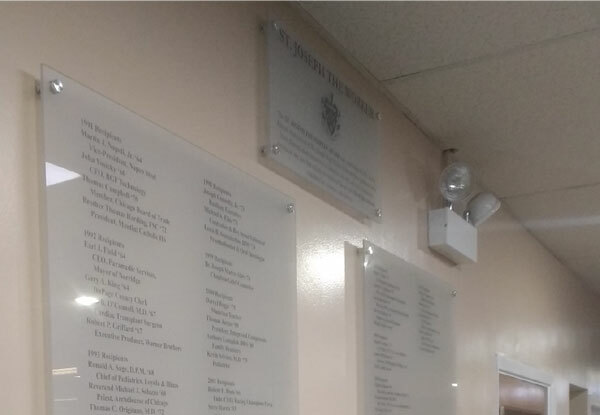 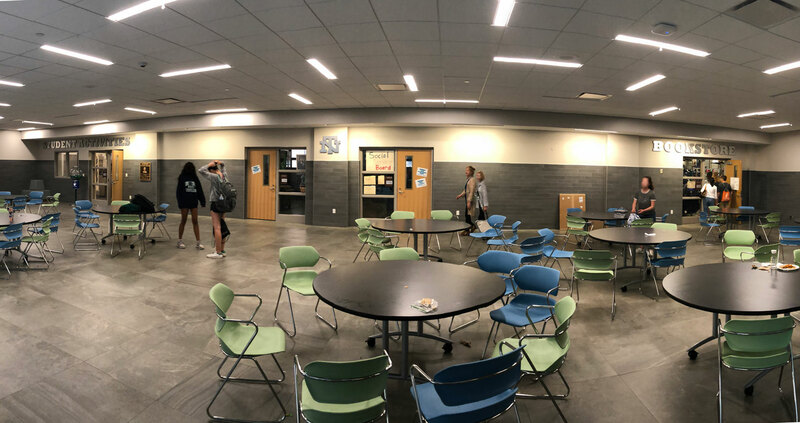 Standoffs are designed to mount signs, architectural panels, glass, photographs, artwork and just about any other material at a fixed distance from a surface. 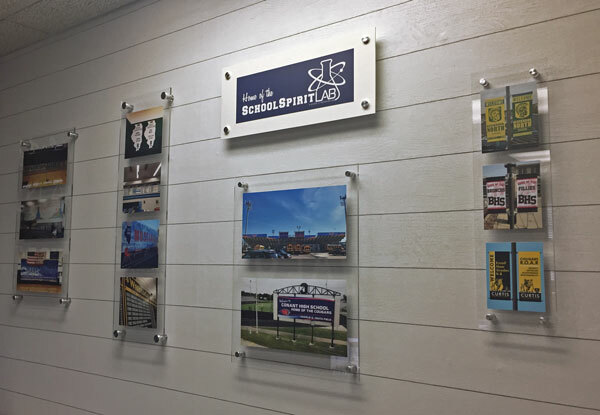 They’re available in different shapes, sizes, and finishes to accommodate any design. 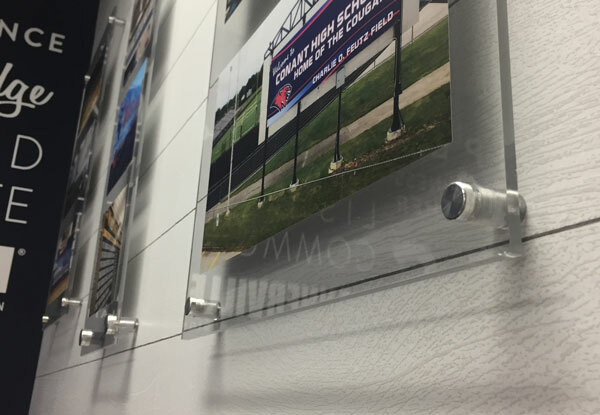 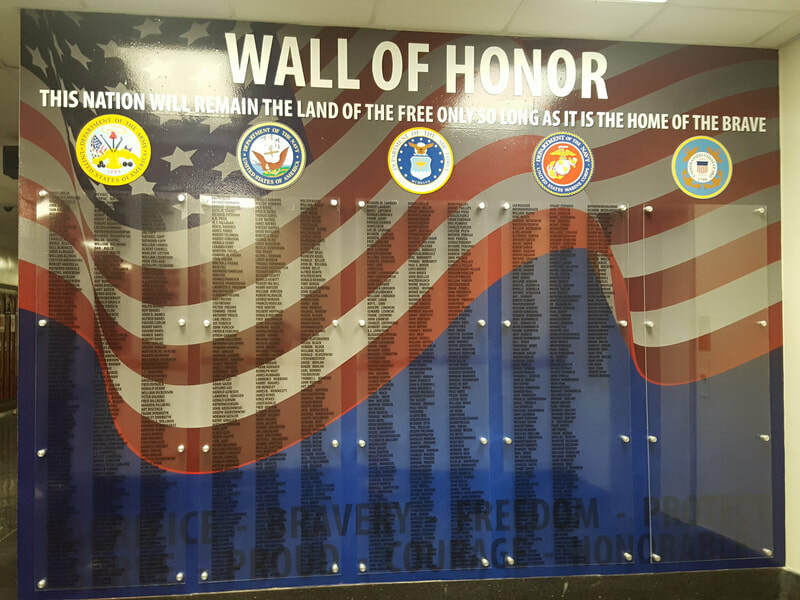 Clear or frosted acrylic is a great way to showcase your art, photos or vinyl graphics. 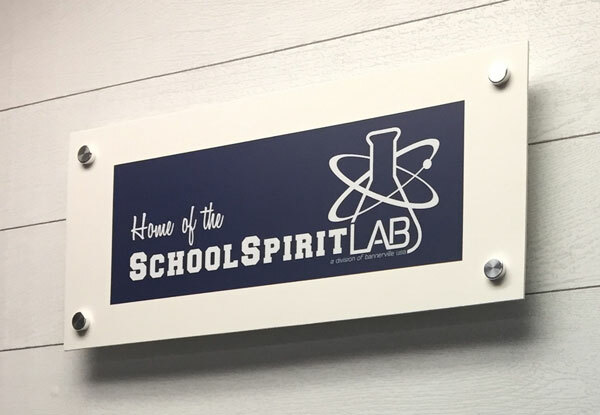 You can use standoffs to make the signs dimensional. 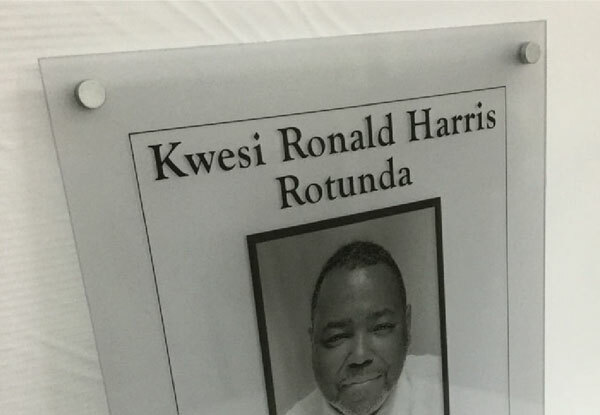 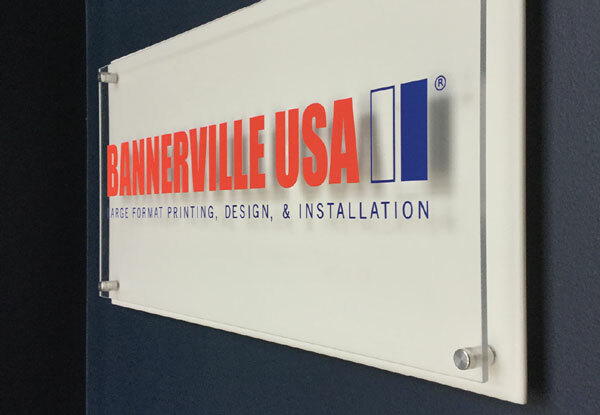 Three-dimensional signs are another way to advertise your name. 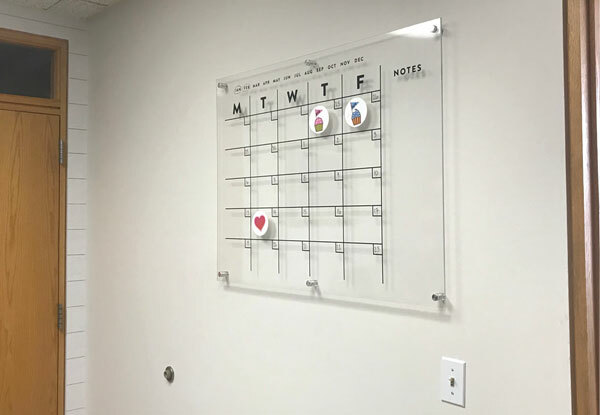 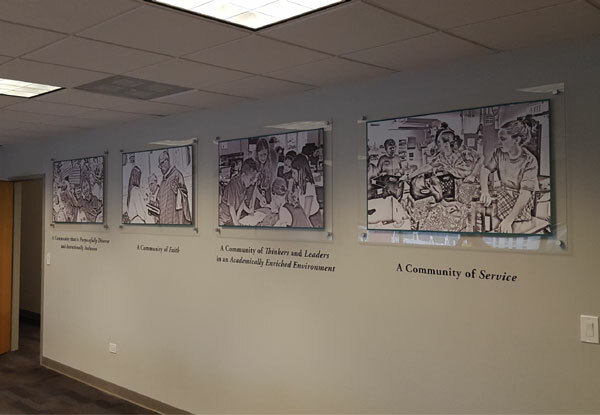 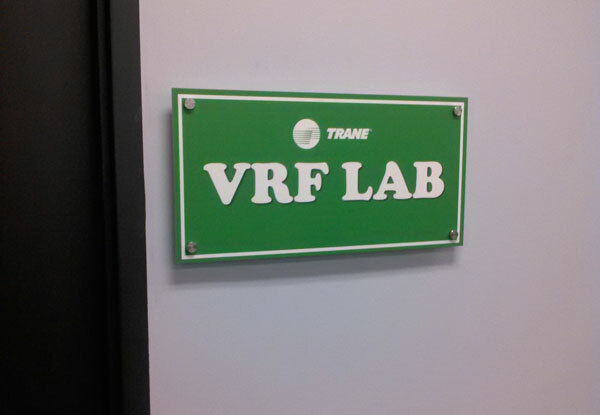 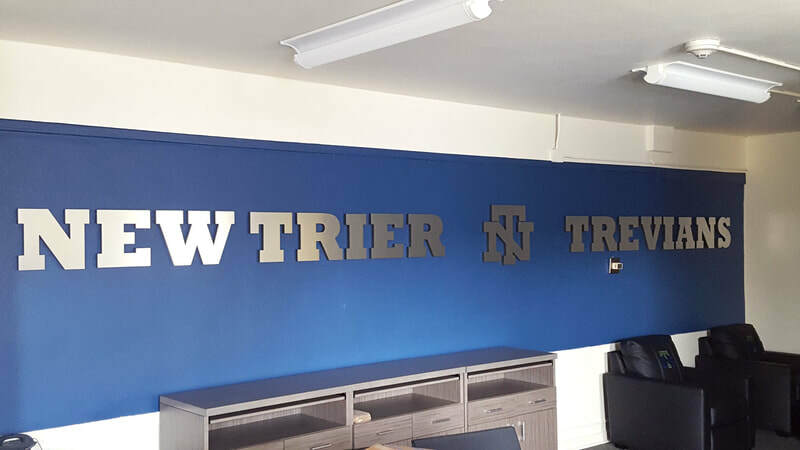 They can be used to welcome visitors to your business, identify offices, or simply to dress up a blank wall. 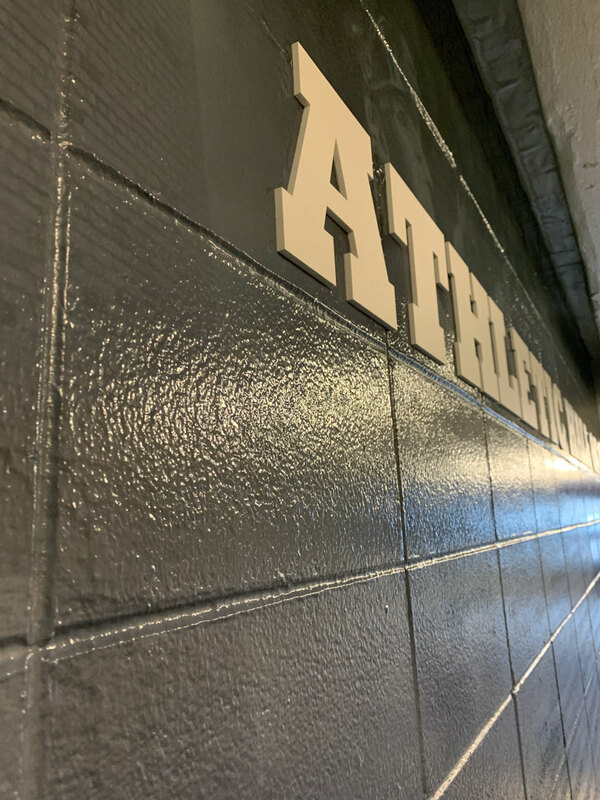 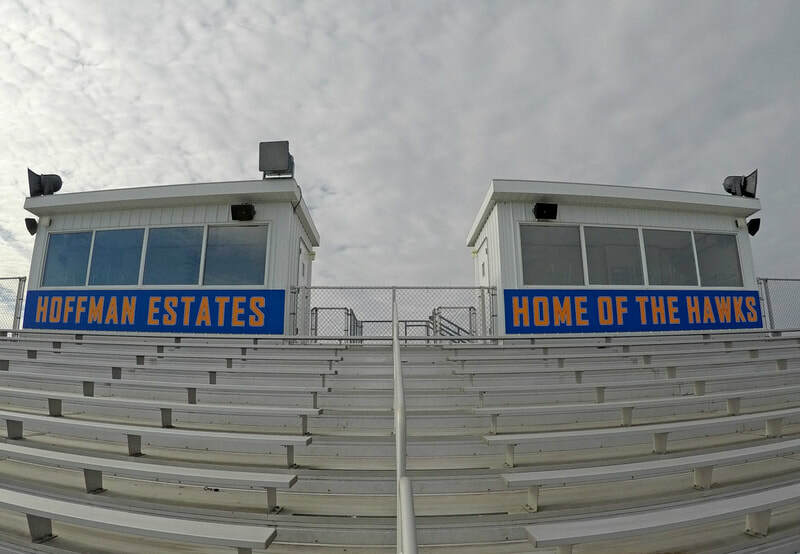 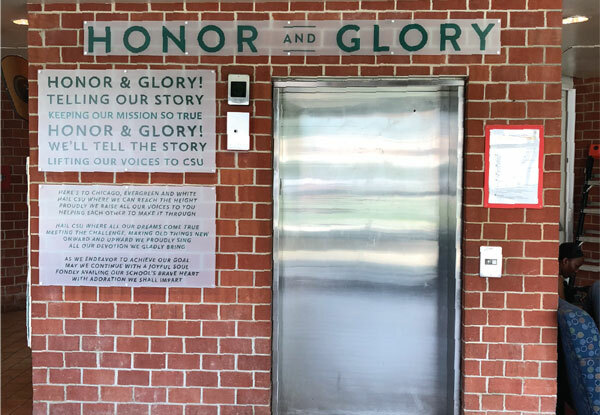 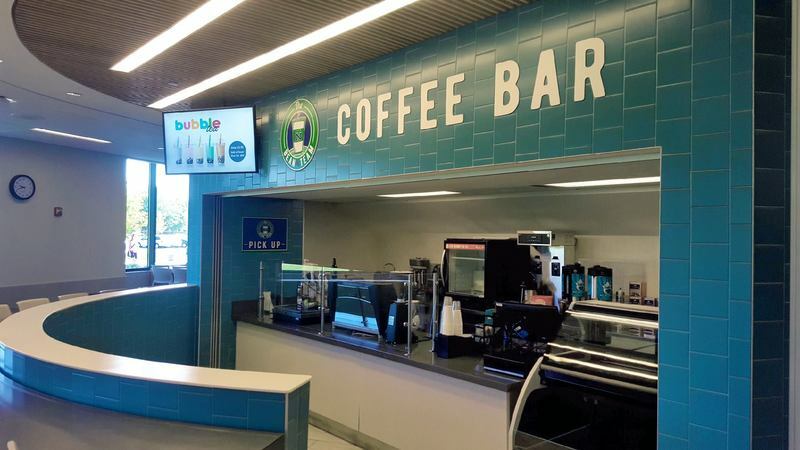 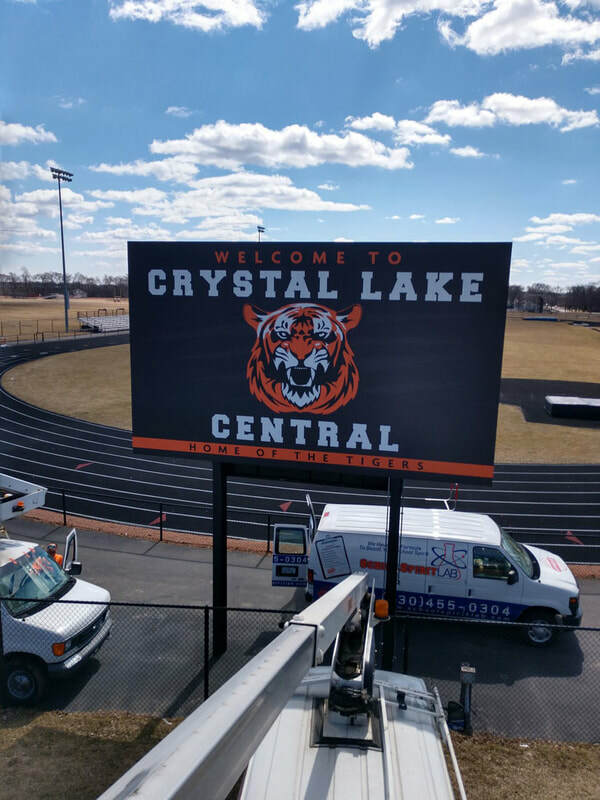 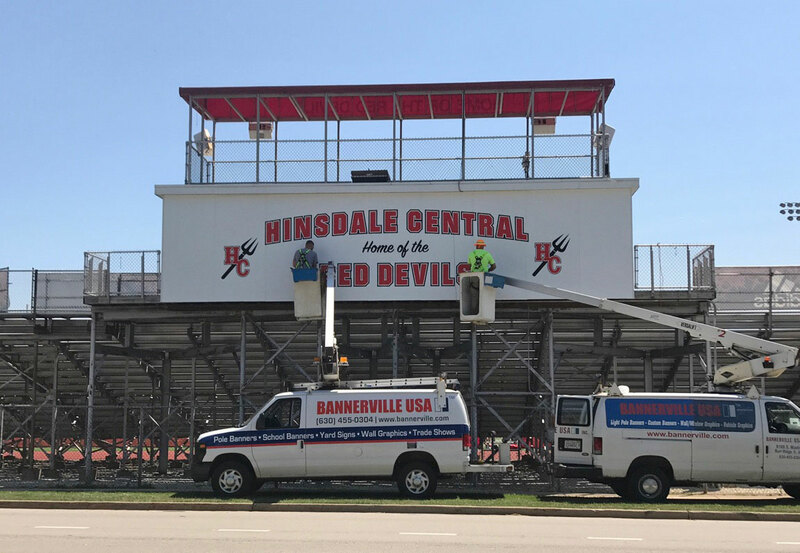 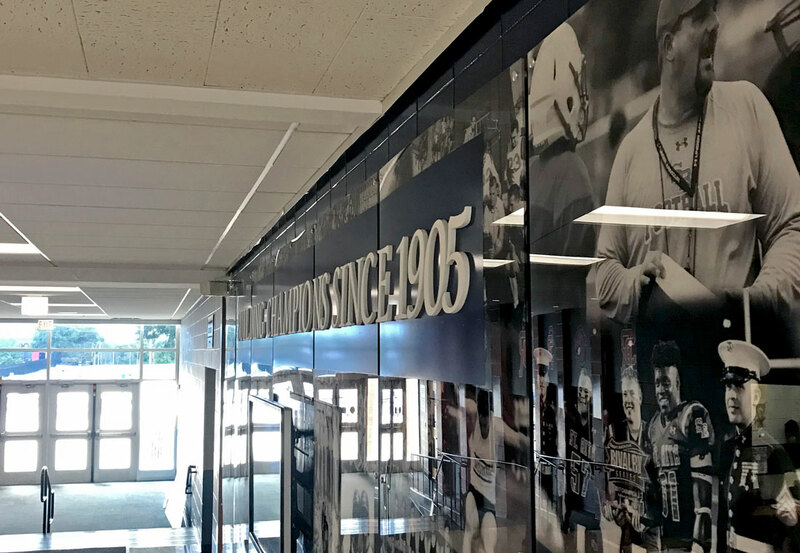 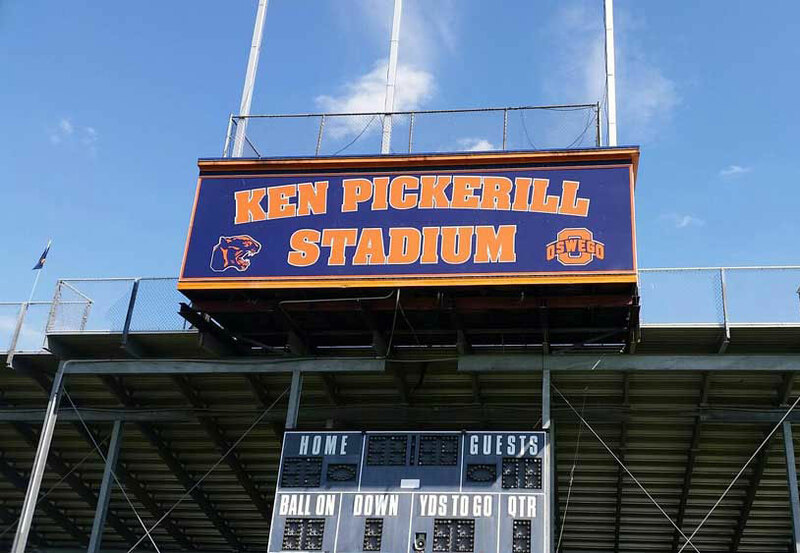 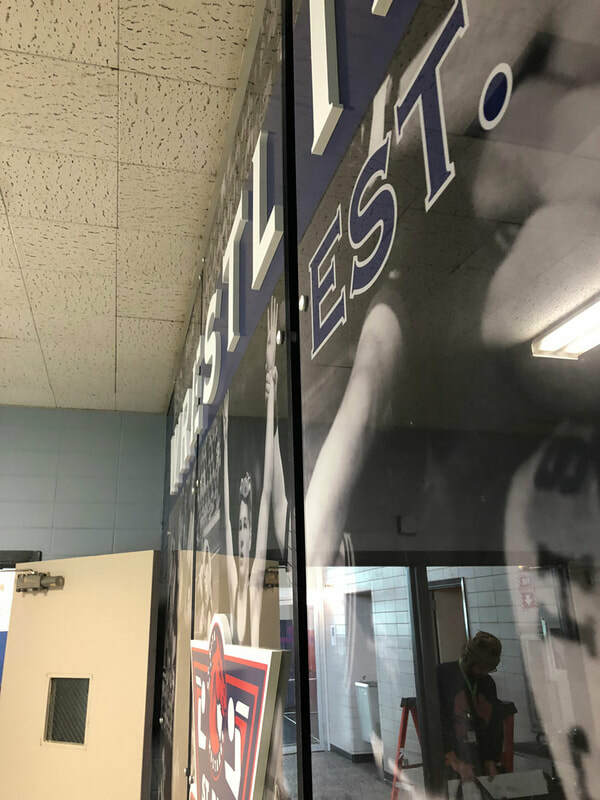 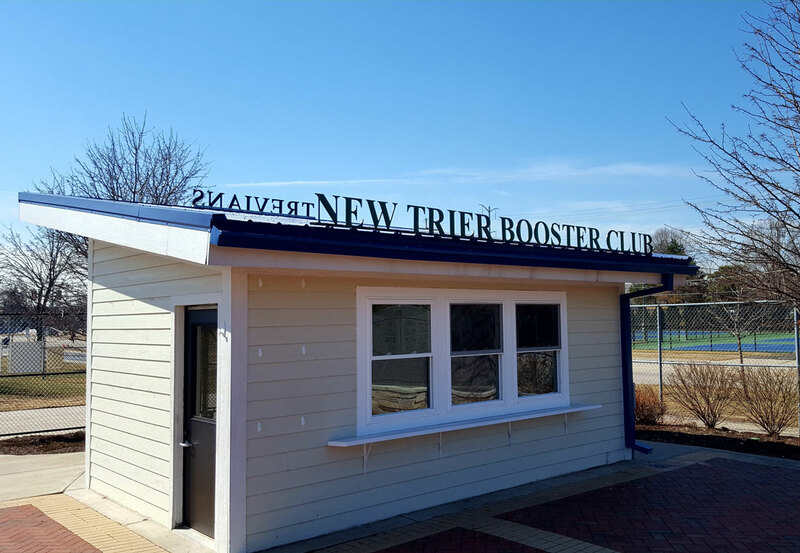 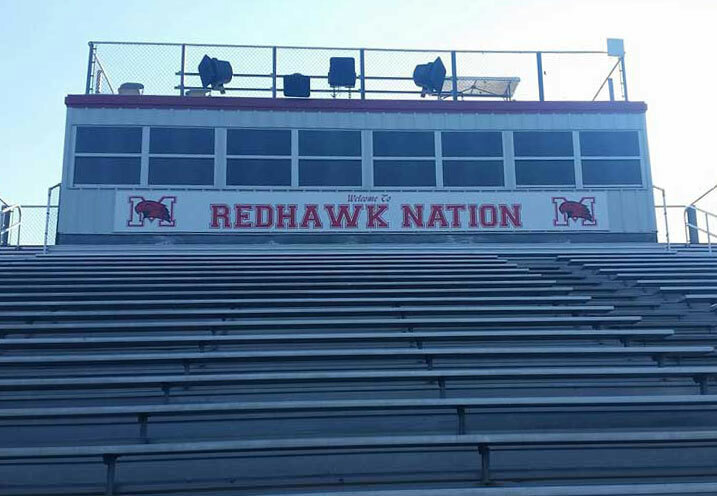 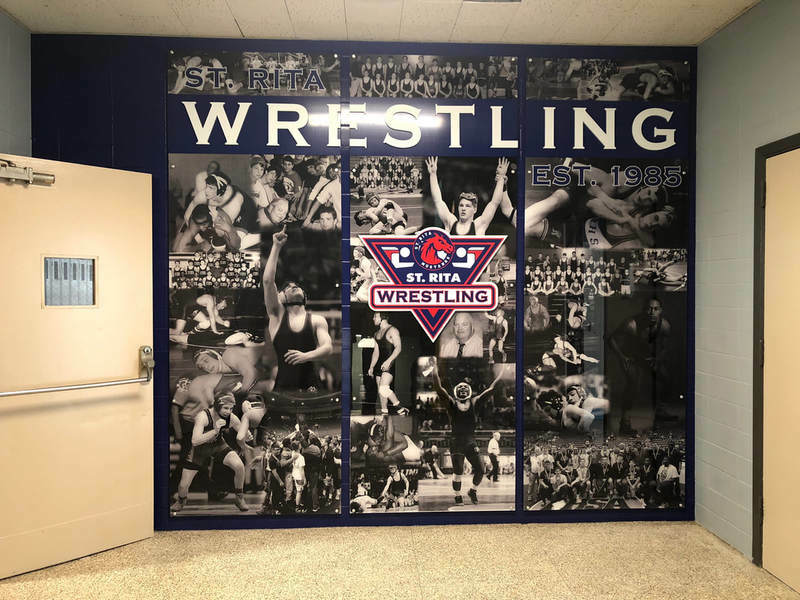 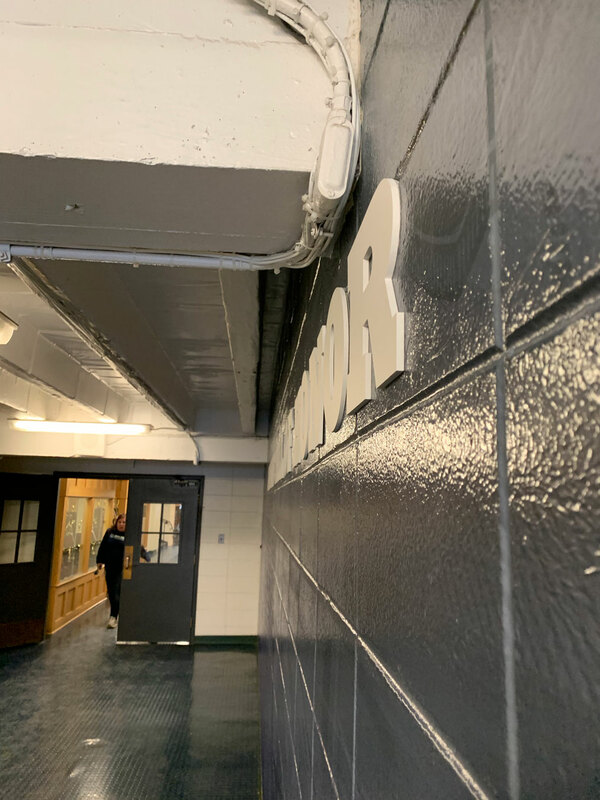 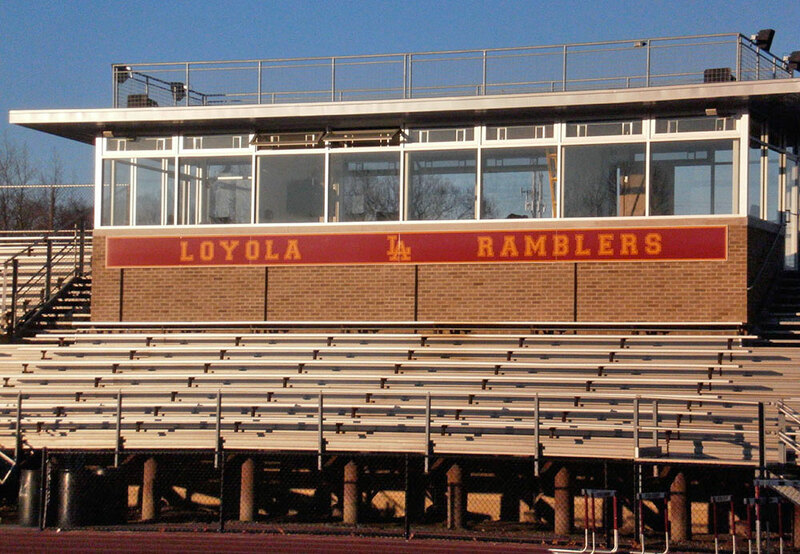 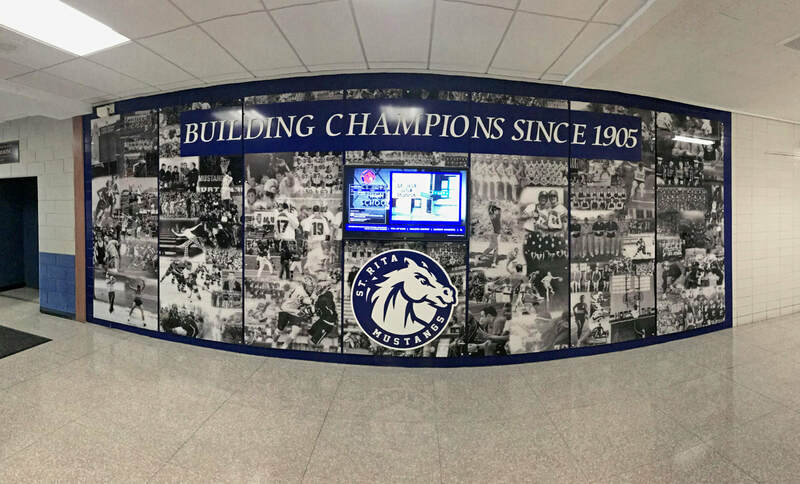 Brand your school press box with custom signage. 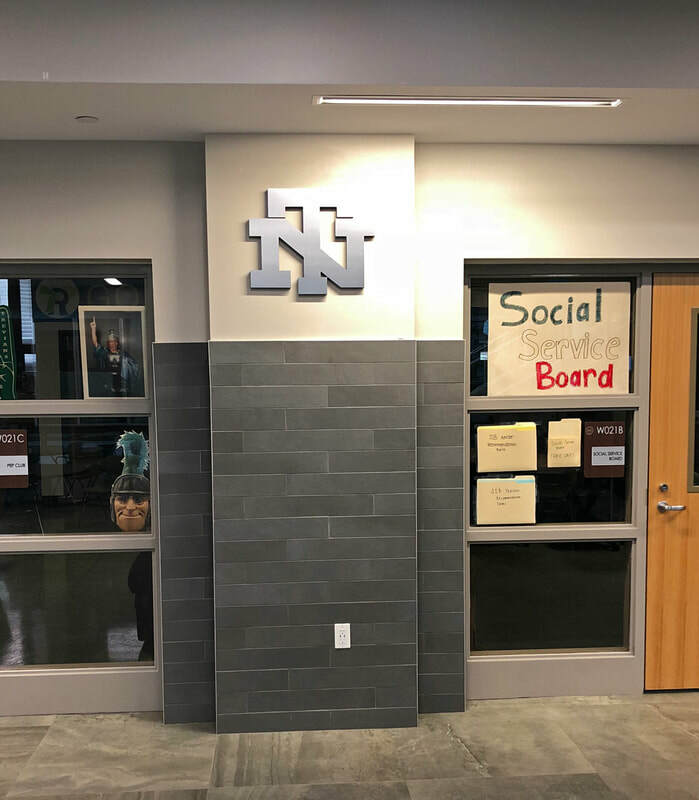 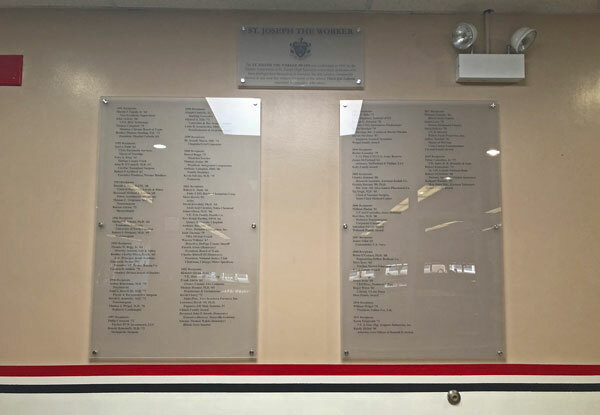 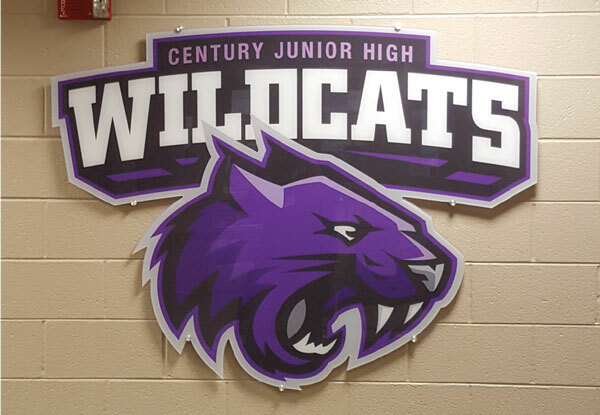 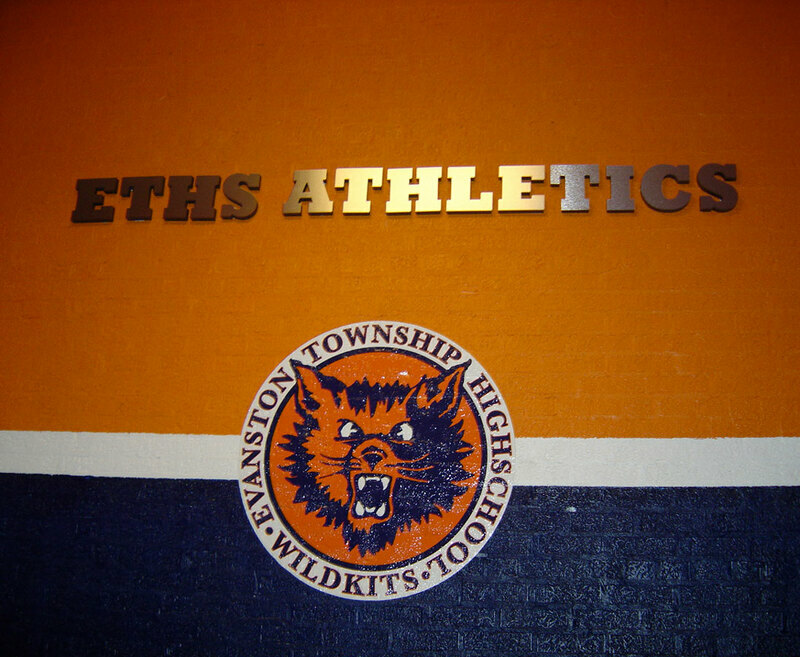 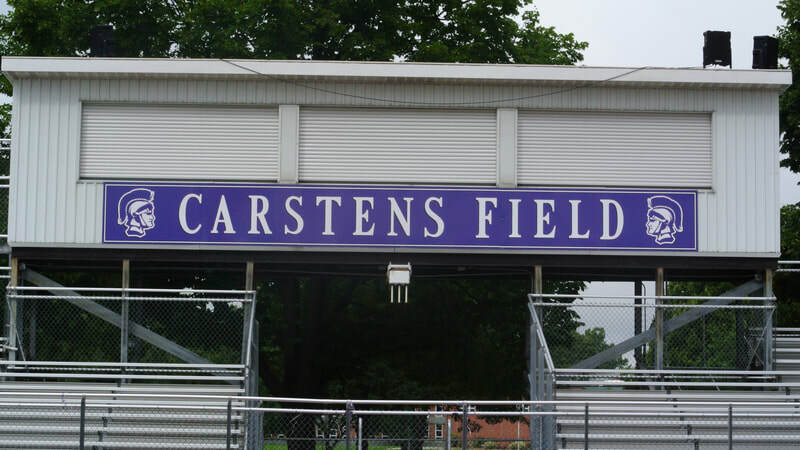 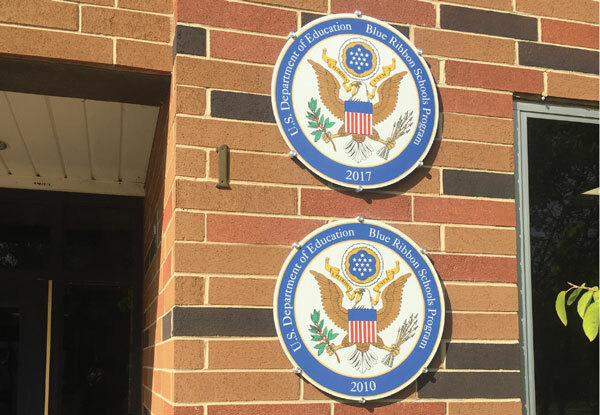 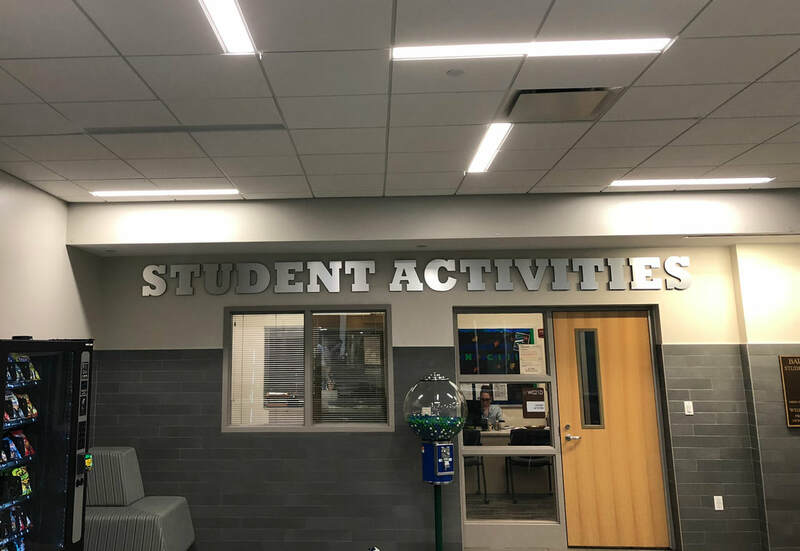 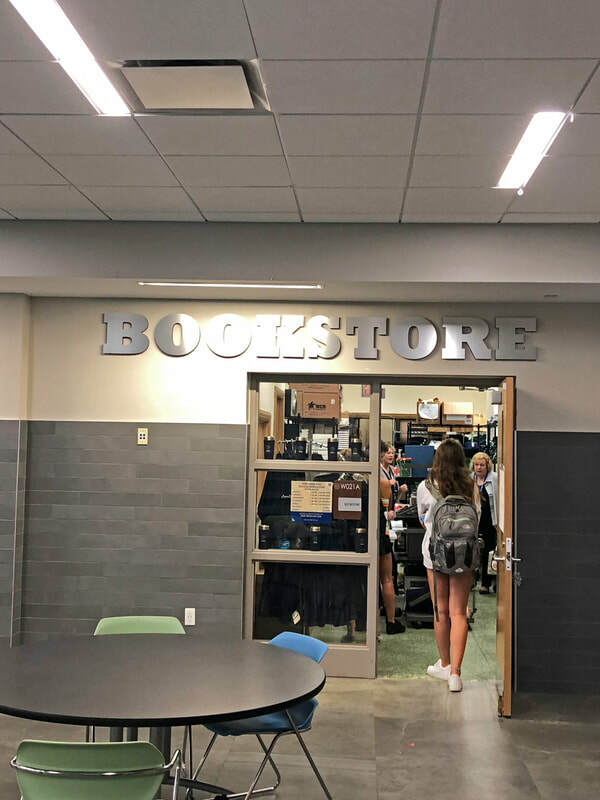 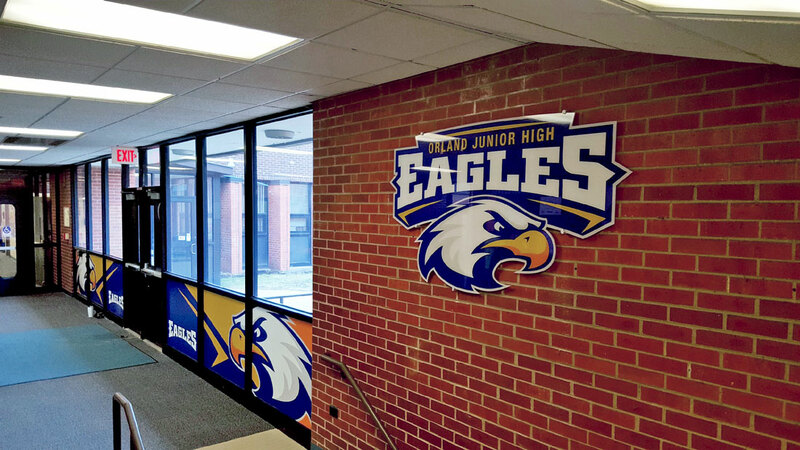 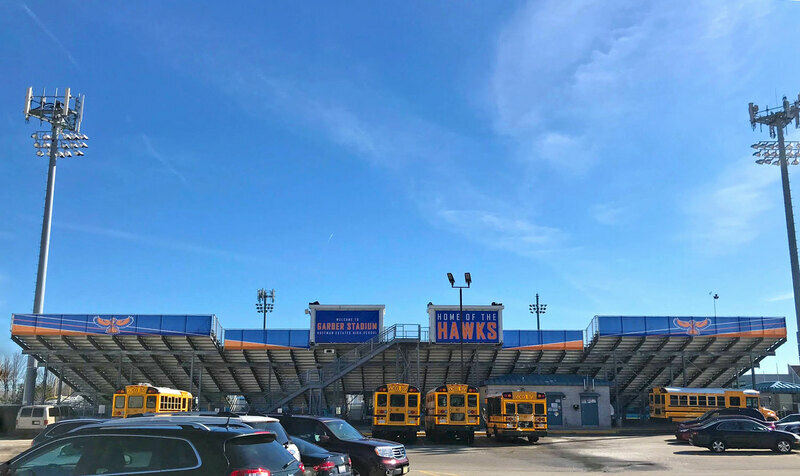 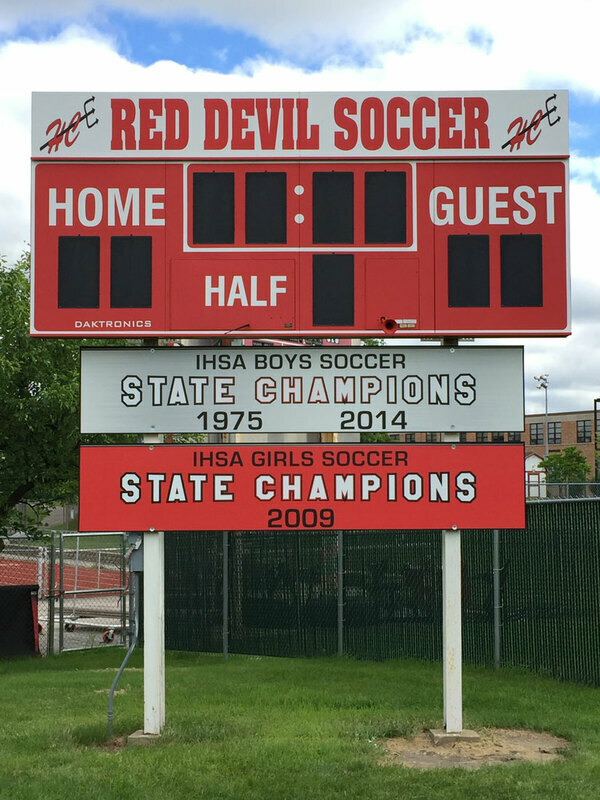 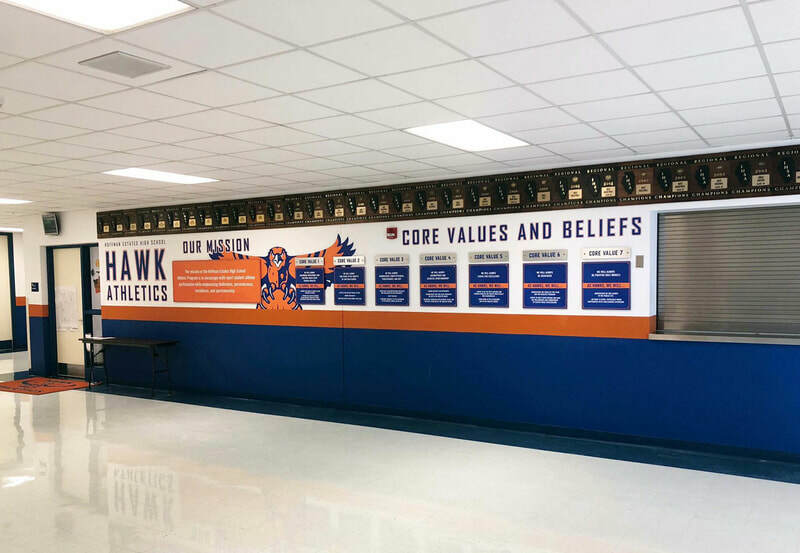 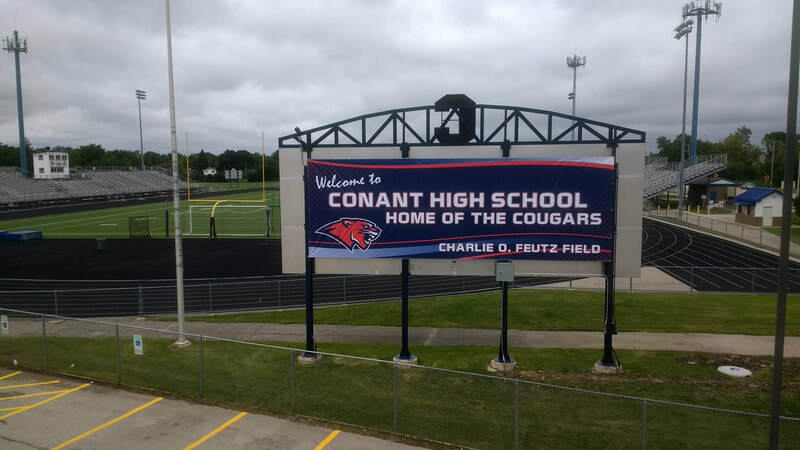 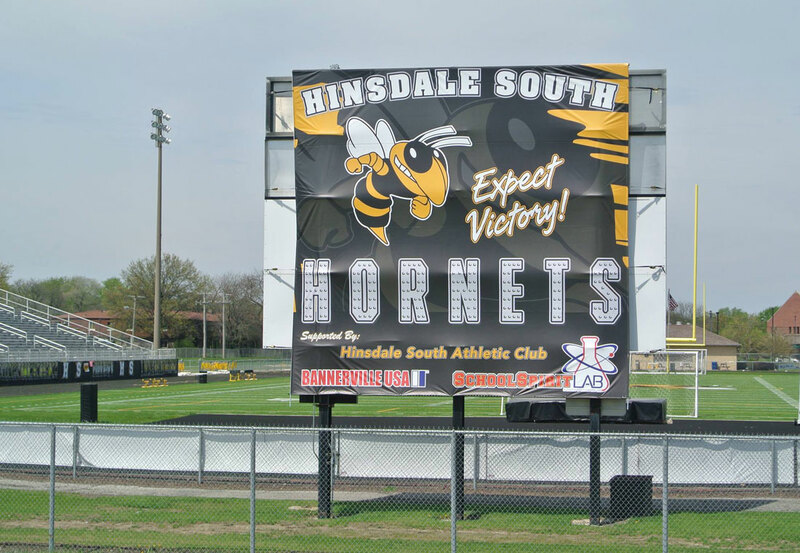 Display field names, school logos and school pride with custom signs and graphics. 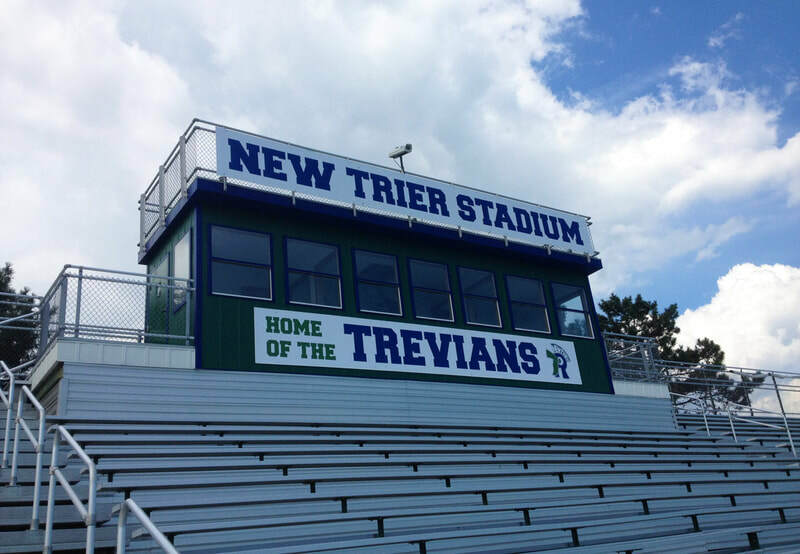 We will help determine which material option is the best to proceed with depending on your press box. 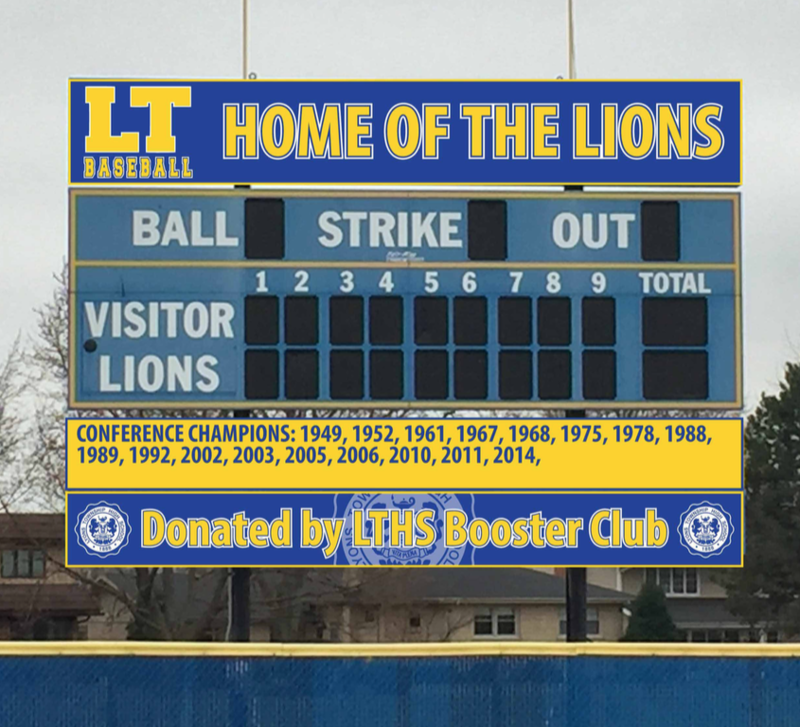 Cover up the back of any scoreboard with your own personal billboard! 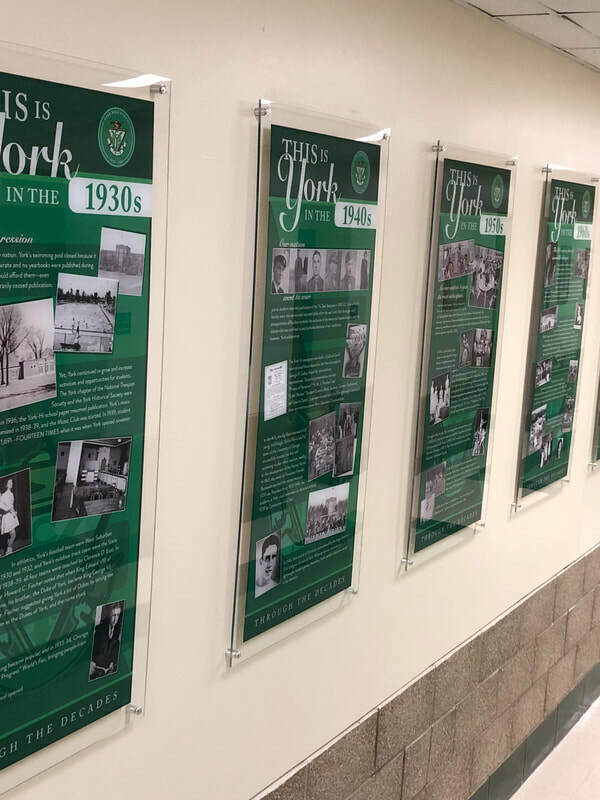 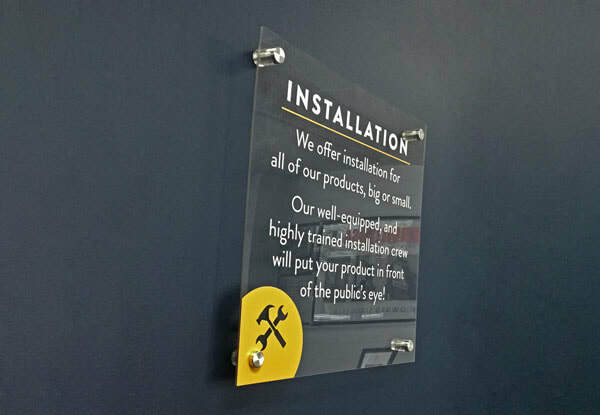 We can install vinyl banners or metal signs that affix directly to the existing frame - some additional framework might be required. 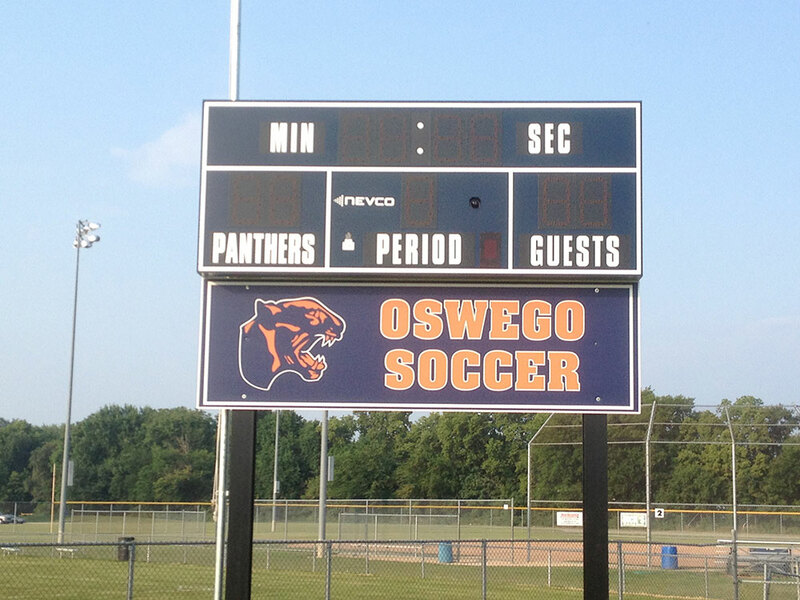 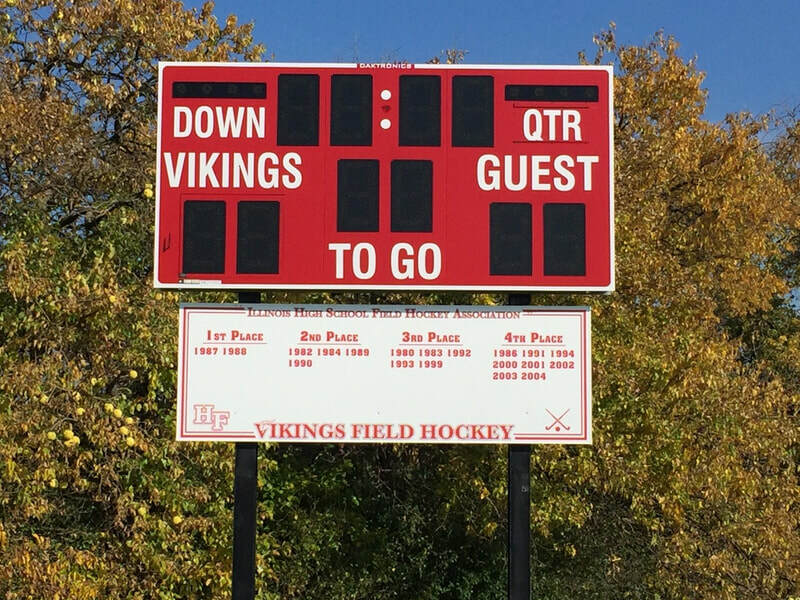 We can also customize the face of your scoreboard with your school branding. 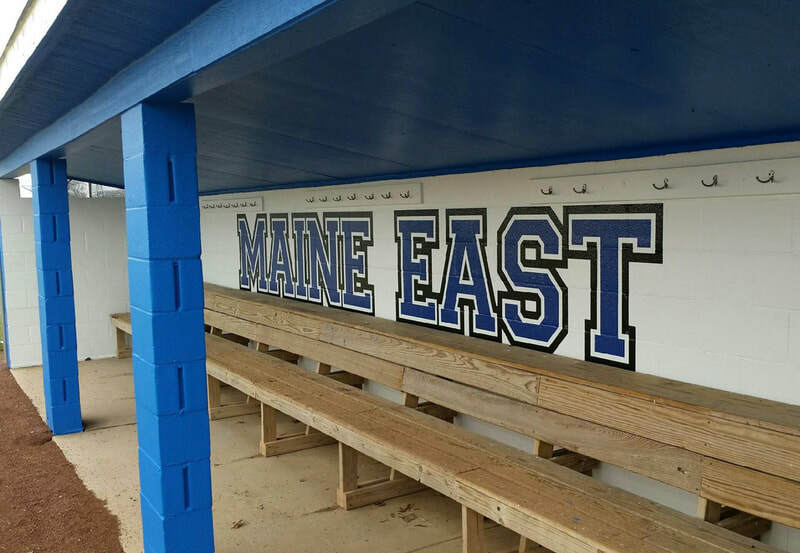 Improve your baseball and softball dugouts with custom graphics or signs! 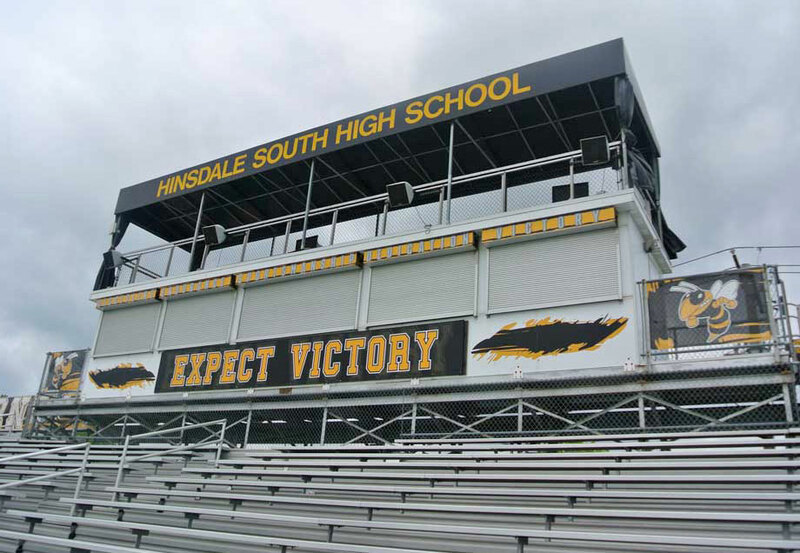 All materials are weather proof and can withstand the harsh midwest climate. 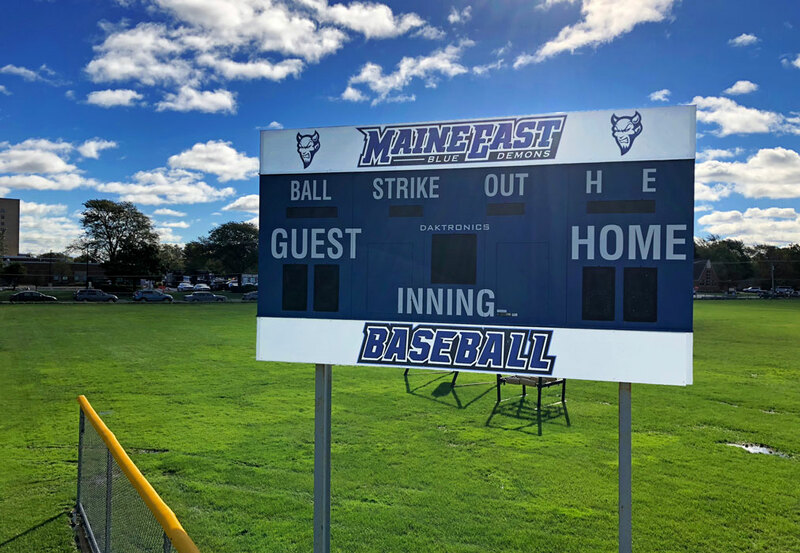 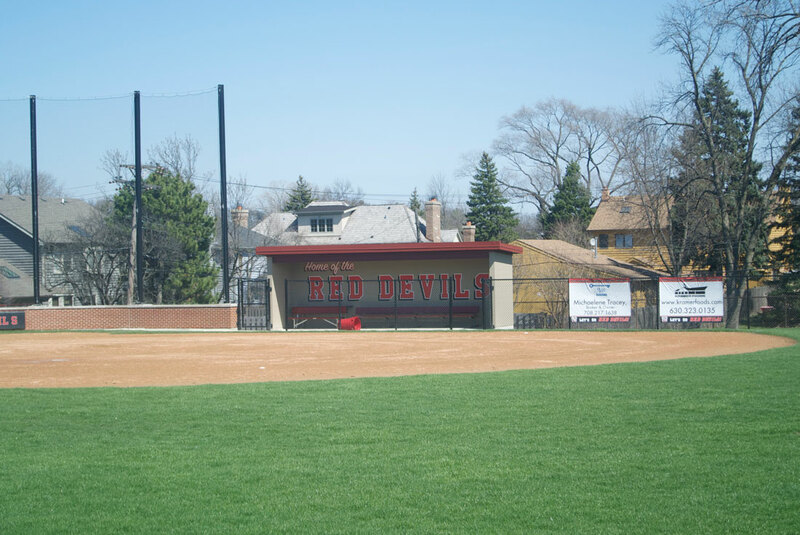 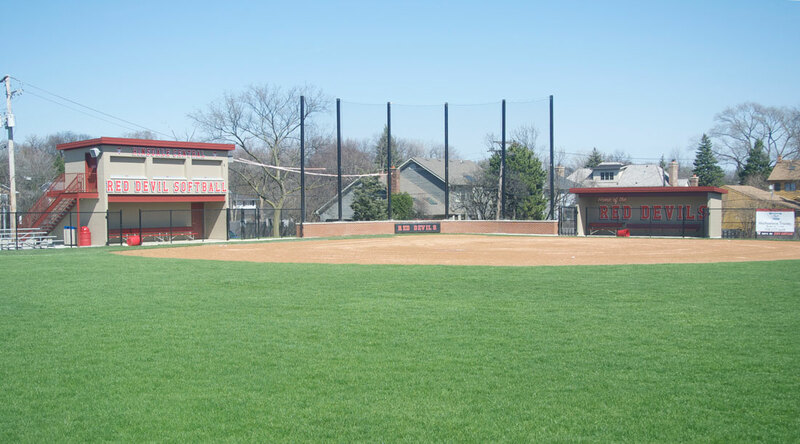 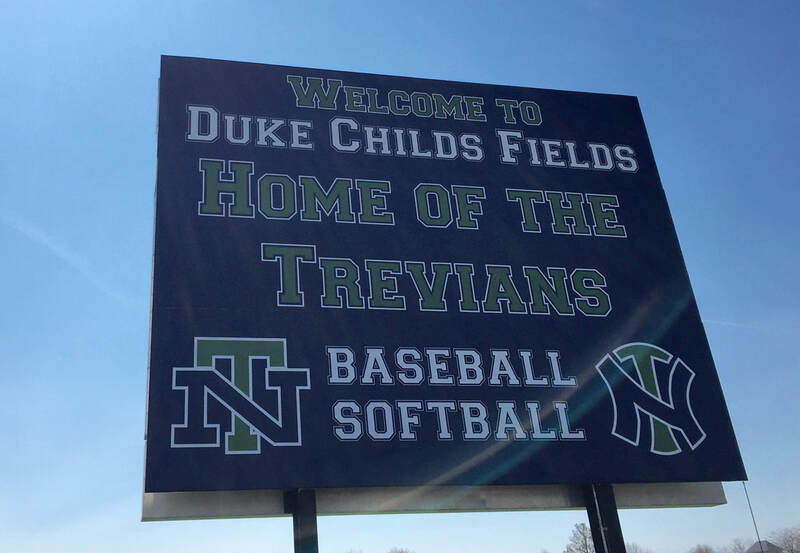 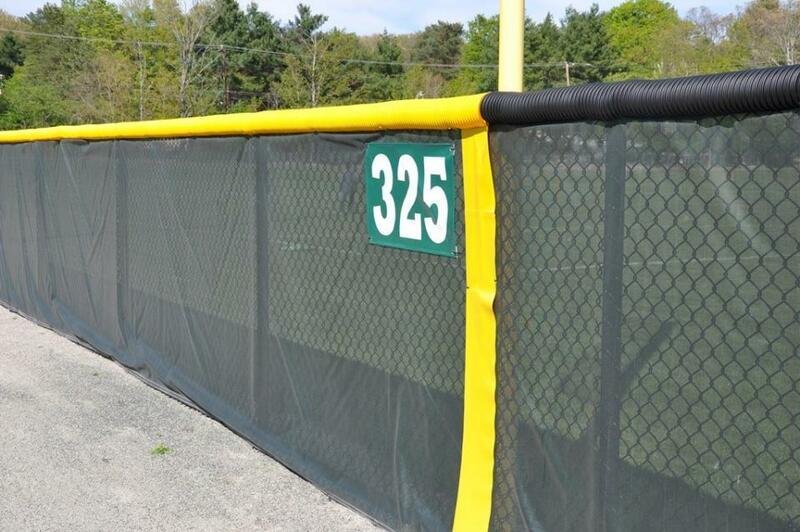 These signs are most commonly created using metal, however windscreens are also another viable option when marking your baseball and softball fields.